I enjoyed this book. I really wasn’t prepared for the turn it took into horror and paranormal mystery. But it was an enjoyable spin. The characters were well drawn out and very dimensional. The author managed to convey enough about the different characters, even the victims, to make the reader care about them and their fate. Some of the scenes were very intense, and the imagery put me in mind of something I would have seen in a Ray Harryhausen movie, particularly in the graveyard scene. Other scenes were reminiscent of The Lawnmower Man or other paranormal movies, particular the scene in the new house. If you like horror or dark paranormal mysteries, then I definitely recommend this book. As usual, I’d recommend it for older readers due to adult language, situations, and violent imagery. 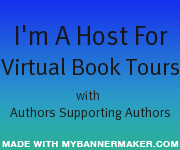 It’s hard to say too much about this, because it would distract from the ride that the author takes you on, but I’ll just say purchase the book, and go for your own ride. I think you’ll enjoy it. Joel M. Andre was born January 13, 1981. At a young age he was fascinated with the written word. It was at fourteen that Poe blew his mind, and Andre began to dabble with darker poetry. Between the years of 1999 and 2007, Joel was featured in various poetry anthologies and publications. In 2008 he released his first collection, “Pray the Rain Never Ends”. Knowing there was something deeper and darker inside of his soul, Joel decided to take a stab at commercialism. Releasing the dark, tongue in cheek, “A Death at the North Pole”, created a dark world that resulted from the death of Kris Kringle. Ultimately, it proved to be a tale of redemption. October of 2008 saw Joel release his second book, “Kill 4 Me.” This was a tale that found Casey Dwyer being haunted by a spirit through text messages, and instant messaging. It was far more brutal than anything he had released before. Taking some time off and doing a lot of soul searching, Joel took things in a new direction and dabbled in the Fantasy Genre with, “The Pentacle of Light”. 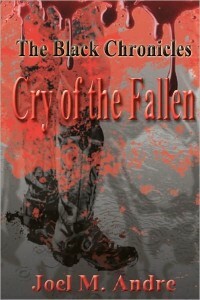 This tale dealt with five major races battling for control of Earth, and the acceptance of their God. As times continue to change, so does the tales he has to tell. This October he will bring back Lauren Bruni in a prequel, and come 2011 there will be the next book in his Fantasy series “The Pentacle of Light”. Currently, he resides in Arizona. Noah Braddock is enjoying a day of peace, and relaxing at the beach surfing. Then he’s approached by Darcy Gill. She tells him of a case of a man on death row. The man has been sentenced and admitted to the killing of two men. The catch: The man is the father that Noah never knew. This is the third in the Noah Braddock series of mysteries, but the first in the series that I’ve read. The other two are Killer Swell and Wicked Break both are I’m assuming surfing terms. Surfing is a hobby of Noah’s, and it’s quite interesting to learn a little about that sport as the book progresses. The main mystery itself is not a who done it, but more of a why they did it type mystery. It’s hard to say much more without ruining a lot of the suspense, but I’ll say that it’s very contemoporary in what is going on. Just as much though is the story of conflict between a son and estranged parents. He’s torn between his sense of duty, and in just walking away out of anger towards his father. Will he do the right thing in the end? 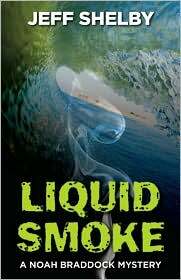 Do find out read Liquid Smoke when it comes to a bookstore near you. While it starts out a bit slow, it does pick up at one point and ends up being hard to put down. Due to strong language and content, I’d say for older teens and adults. It’s humorous at times, particularly in his interraction with his friend Carter. I’d recommend this book though. Jeff Shelby: Jeff Shelby grew up around the beaches of Southern California and graduated from the University of California at Irvine. He writes full time and lives in Castle Rock, Colorado, with his family. *Disclaimer* A special thanks goes out to Leyane at FSB Associates for a review copy of this book. It in no way influenced my review. You can discuss it < href=”http://rhodesreview.com/?p=2636#respond”>here or join my facebook page and discuss it there. Stephanie Plum – Former Lingeries salesgirl turned Bounty Hunter. Joseph Morelli – Cop being charged with a murder. Ricardo Manoso “Ranger” – Agrees to help Stephanie learn the ropes. Stephanie Plum is out of work. Her car is about to be reposessed. She can’t pay her bills. She has one option. She begs her cousin for a job. He doesn’t have one, but his assistant talks her into taking on bond cases. She blackmails Vinnie into giving her Joseph Morelli, the hardest case in the files. Will she capture him and collect her money? Will she shoot herself in the process? I enjoyed this book. It’s a good blend of mystery, comedy, and action. 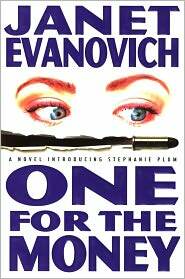 Most of the plot and story are not as much built around the mystery as they are around Stephanie’s whacky family. Her grandmother is a laugh riot, and one of the funniest scenes involved her and a chicken. There’s also a lot of plot, involving Stephanie’s attempts to get Morelli into prison, and her trying to learn the ropes needed to be a bounty hunter. On top of all that, there seems to be a bit of a love triangle storyline between her, Morelli, and Ranger. I’d stick this in older teens (post 13) and adults category, but a fun story, and definitely one where I want to see her further adventures. Jacob Portman – 15 year old coming to terms with his grandfather’s tales. Emily Bloom – One of the peculiar children, a friend of Jacob’s grandfather. One of the main questions as a reviewer is how do I categorize this book: Is it a fantasy? Children’s book? Science-Fiction? I think it’s probably a mixture of many different types. The characters are strongly developed. Jacob is a young boy trying to come to terms with his grandfather’s death, and his questions surrounding it. He’s also on a quest of discovery. A quest that would seem to match Joseph Campbell’s outline of the mythic journey. In trying to find out about the stories his grandfather told, Jacob is pulled into something much bigger. A battle between good and evil. A battle beyond time, yet stuck in time. Part fantasy, part mystery, but in the end, just a good story. I think I’d stick to older teens for this, but adults such as myself I think would also enjoy the story. I think there’s most likely a series of books yet to come, and I look forward to the next installment. 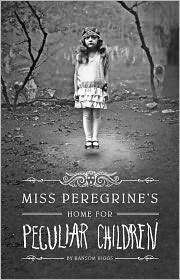 Ransom Riggs grew up in Florida but now makes his home in the land of peculiar children—Los Angeles. Along the way he earned degrees from Kenyon College and the University of Southern California’s School of Cinema-Television, got married, and made some award-winning short films. 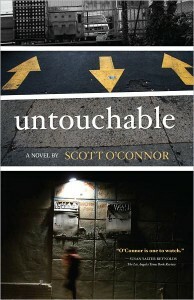 He moonlights as a blogger and travel writer, and his series of travel essays, Strange Geographies, can be found at mentalfloss.com or via ransomriggs.com. This is his first novel. Skin Kadesh has been away at a retreat for a month. His friend Ruby Jane sent him there to help him recover from a near fatal gunshot wound. When he returns, Ruby Jane has disappeared. She left no word on where she went, or why? Thinking it’s uncharactertistic of her, he begins the quest to find her. This quest starts with a dead man in her living room, sitting in her bathtub. The characters are well developed, though I’d like to have seen a bit more detail on character appearances. I’m still not sure I know what Skin looks like, though I know he’s not supposed to be particularly handsome. He enlists the aid of her former flame Peter, and they begin in a cross country search. The reader can feel the rivalry between them, and the pain when one is chosen over the other. This isn’t so much a crime mystery, though there is someone going around killing off people connected to Ruby Jane, but more a mystery of uncovering a person’s past. It’s delving into this past, where the true strengths in the story come out, as the reader unravels RJ’s history, a history of abuse, broken families, and the emotional connections that some people hold on to. I think it’s a good story. On an age scale, I’d say for older teens and adults, due to a lot of the subject matter. I think if you like stories that are studies in characters, then you’d probably like this. 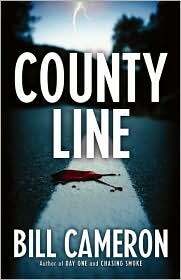 It’s good for both mystery and fiction fans, and was an enjoyable reading experience. Nick Charles – A retired detective. Nora Charles – Nick’s Wife. Nick and Nora Charles are visiting New York City when he’s approached by Dorothy Wynant, the daughter of an old friend. She’s wanting to enlist Nick’s aid in finding her Father, Claude Wynant, whose turned up missing. Nick agrees to investigate, and so the mystery begins. 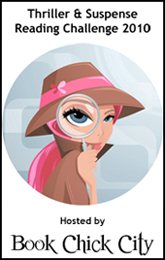 This book is kind of a mix between the hard boiled detective and the cozy mystery. There is a lot of humor built into the story, especially the conversations between Nick and Nora. The characters of Nick and Nora themselves are classics and most likely gave us characters such as Hart to Hart and Luke and Laura Spencer. The hard boiled aspects come into play in some of the language, etc. used. For the time period this was written in, some of the language seems quite strong. There are some scenes of violence but nothing too graphic. And some strong language. For that reason, I’d give it a PG or PG-13 rating. As for the story itself you are taken on the journey as Nick questions first this person, and then another on his quest to eventually uncover “The Thin Man”. I think it’s a shame that more of these books weren’t made. I really like the characters, and while only one book seems to have been written, they gave birth to numerous movies. If you like mysteries, and good character interraction, then pick this up. I think you’ll like it. 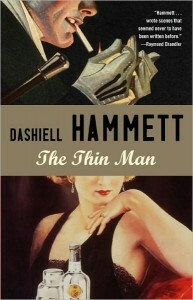 Dashiell Samuel Hammett was born in St. Mary’s County. He grew up in Philadelphia and Baltimore. Hammett left school at the age of fourteen and held several kinds of jobs thereafter — messenger boy, newsboy, clerk, operator, and stevedore, finally becoming an operative for Pinkerton’s Detective Agency. Sleuthing suited young Hammett, but World War I intervened, interrupting his work and injuring his health. When Sergeant Hammett was discharged from the last of several hospitals, he resumed detective work. He soon turned to writing, and in the late 1920s Hammett became the unquestioned master of detective-story fiction in America. In The Maltese Falcon (1930) he first introduced his famous private eye, Sam Spade. The Thin Man (1932) offered another immortal sleuth, Nick Charles. Red Harvest (1929), The Dain Curse (1929), and The Glass Key (1931) are among his most successful novels. Whitley “The Kid” Darby – 11 Year Old boy who hasn’t talked in a year. David Darby – A widowed father trying to raise his son. A year has passed since Lucy Darby died. Her 11 year old son has not spoken since that day. Her husband David is left alone to deal with raising his son the best way he can. David works as a trauma site technician. While helping others get rid of their traumatic memories, he can’t shake his own. Whitley only communicates through notebooks. At one time he was a live, vivacious young boy who enjoyed putting on his own talk shows. Then his mom died, and he shut down. This was a really good story. There were minimal characters, but the ones that existed were well drawn out. You could feel Whitley’s pain and suffering as he is bullied from just about everyone in school, while internally he thinks the reason the other kids hate him is the same reason his mother left. David is left to clean up after others have decided to depart this world on their own. His job finds him being broken down more and more as each subsequent death pulls him further into questions about his own wife’s death. Questions he’s never wanted to answer. I think the author did a great job on this story. The conflicts are real, the 11 year old seems like a real boy. The overall story reminds me in some ways of The Road by Cormac McCarthy, in the sense of there’s not a huge plot, but it’s mostly about the relationship of the father and son. You can feel David’s struggle to reach Whitley. If you get the chance, pick up this book, I think you’d really enjoy the story, and love the characters. The Civil War was one of the worst periods in American History. How many of us though, truly remember all the information we learned about it in school. In Fred DuBose’s entry in the The Blackboard Books series from Reader’s Digest he fills us in on all that we missed. He covers everything from the major players such as Lincoln, Grant, Lee, and Davis to some of the abolitions, many of whom I’d never heard. He covers the major battles, causes, the mood of the people going into it, and some of the struggles to prevent it. I always knew that it was an atrocious point towards Blacks in America, but I found out things that I really didn’t know. For instance, even though a state was a free state, a free black could be kidnapped and taken down south to be sold. A big section is also spent on post war attitudes and focuses on things like the birth of the KKK, and the Lincoln Assassination. 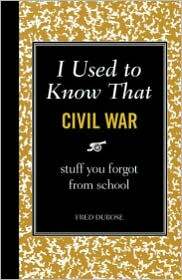 If you have an interest in the civil war, or just want to understand things better, then I’d say you should definitely pick up this book. With all the books out there, this Blackboard Book series is one of my favorites because it does supply so much information to the reader in a small size. 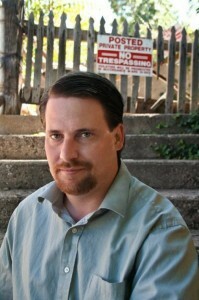 Fred DuBose, a native Texan, is a writer, editor, and book developer based in New York City. He is the author of an eclectic collection of books with subjects as varied as tomatoes, grandparents, cooking, and wine. Fred DuBose is the author of Oh, Say Did You Know?.